The Shergarh Resort wildlife boutique resort is the newest addition to the best budget luxury hotels and wildlife resorts in Ranthambore National Park. Hotel Shergarh Ranthambore located edge of the Ranthambore National Park and around 12 km from sawai madhopur railway station. It is a blend of luxury living and wildlife. It is surrounded by lush green forest area and green fields which make it a remarkable. 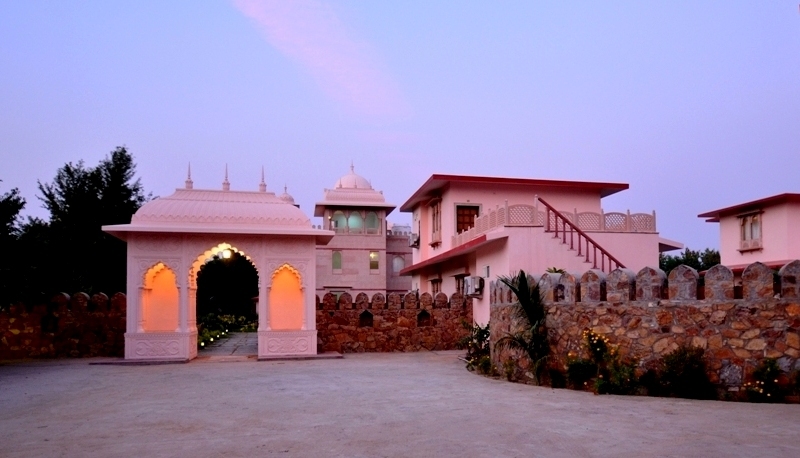 Hotel The Shergarh offers first class comfort with personalized services in Ranthambhore. The resort offers eminent hospitality through its location architecture design & high levels of services so that each guest can fulfill their requirements and attain what he/she have wished for. Hotel offers various activities within premises for guests to enjoy. The staff provides personalized service to each guest and pampers them like a king. The Shergarh Ranthambore provides a wide range of accommodation to the wildlife fancier. Resort offers 9 deluxe cottage, 5 luxury suite, 5 superior room and 4 tents. Each unit is air condition spacious well furnished & equipped with modern amenities to ensure that guest have a comfortable and memorable stay. The accommodation amenities included , mini bar , Television , Tea & coffee maker ,study desk, attached specious bathroom ,open shower, twenty four hours hot and cold running water. There is an entire circle in the resort which is perfect place to take evening tea and coffee with bonfire. In the evening time you can enjoy with traditional dance and song performed by local artist at the Resort circle area. Shergarh resort offers multi cuisine restaurant and dining hall with Indian, continental and Chinese recipes. It has swimming pool, conference facilities indoor /outdoor games and children’s play area to keep you /your kids engaged through the stay. Telephone & Satellite T.V. in all rooms.